The Indian consumer goods industry is one of the key industries witnessing the meteoric rise of digital transformation across its functions. The transition from physical mom-and-pop stores, to the mall culture and finally the rise of e-commerce has made significant changes in the way consumers shop for FMCG products. It is in this background that consumer goods brands should redirect their strategies by going from a mere digital presence to creating engaging conversations. According to a Mary Meeker report, nearly 40 percent of consumer goods purchases across specific categories will go online by 2020. This number is derived from the increasing rate at which internet users in India are turning into digital buyers. This sudden shift from offline to online finds an explanation in Mary Meeker’s 2017 report. It states that for the first-time data costs fell to less than 2% of India’s GDP per capita, which is the threshold for widespread affordability. The number of Internet users grew 40% year-over-year, attributed in large part to falling data costs. According to the India Brand Equity Foundation, the Indian consumer goods industry is worth around USD 49 billion and is thoroughly utilizing the potential of technology to streamline their front and back-end processes. 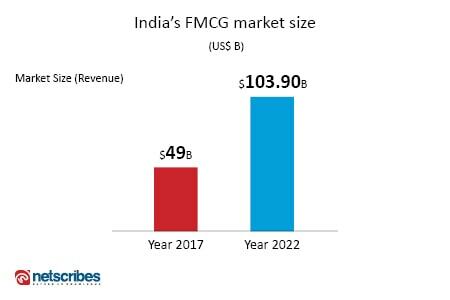 By 2022, the Indian FMCG market size is expected to exponentially grow and attain a value equal to USD 104 billion, which is more than the double its value in 2017. To harness the full potential of digital transformation, companies must recalibrate their marketing mix, operations, and supply chain optimization. Using the cloud as one centralized hub for catering to ERP needs, collecting data via sensors and manual entries, tracking performance benchmarks, and sharing information regarding work plans, sales statistics, training materials etc., is already boosting efficiency among companies who have embraced this technology. Indian consumer goods stalwarts like Amul, Dabur, Unilever, and Procter & Gamble are the frontrunners in this space, reaping benefits such as reduced system downtime, access to real-time information, improved productivity and capacity, data and process transparency, and increased end-user satisfaction. The next few years will witness consumer goods companies leveraging a gamut of digital technologies to draw granular insights into customer preferences and facilitate superior product delivery with enhanced customer loyalty. The advent of digitization has made it possible for any company to interact with their target audience on a daily basis. Social media platforms have opened new doors for both targeted marketing and CRM. Understanding consumer psychology through sentiment analysis, undertaking product innovations and chalking out targeted marketing communication has never been easier. Online shopping options such as e-commerce marketplaces and boutique websites have equipped consumer goods companies to source and learn from consumer buying patterns by employing big data and mobile analytics. According to a report by Google and Bain and Co., USD 11 billion, or two-thirds, of the total sales in beauty and hygiene products will be influenced through online marketing. What’s important for brands is to recognize that brand loyalty is key to keep this digitally-savvy audience coming back. It is only after they have tried and tested, that customers will invest their money in products that need to be replenished. Another report by ASSOCHAM states that the market for the India’s FMCG sector will grow from USD 49 billion to USD 104 billion by 2020. This exponential growth projection is based on steady economic growth, increasing the share of organized retail, and improving awareness about digitization and automation. Companies that are willing to expand their marketing horizon through consumer engagement will find digitization a strong fulcrum that aids their progress. One such brand is Unilever who sought customer insights to create a campaign that appeases international markets. Inspired by its findings, its sub-brand Knorr launched a “Love at First Taste” campaign – an initiative backed by market research that found singles having similar taste and set them on a food-based blind date. Knorr filmed the results of these “food influencers.” Within the first three weeks, the video garnered 100 million views. Similarly, online fashion retailers like Nykaa launched marketing campaigns in the form of “make-up” tutorials by social media influencers as a part of their marketing strategy. 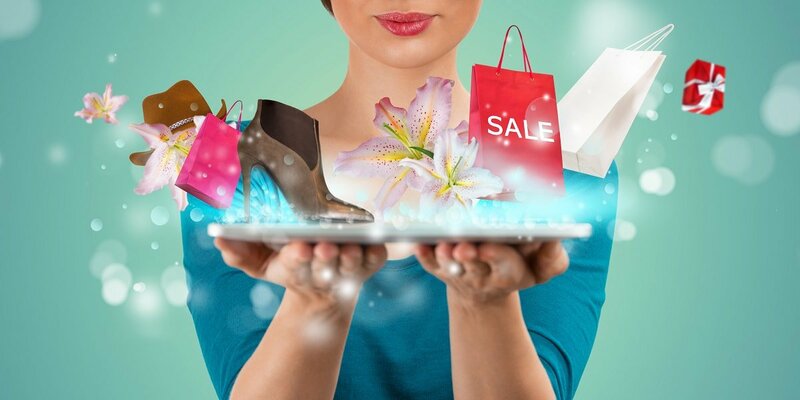 Today, e-commerce websites are funneling their ads and marketing communication after studying buying behaviors to execute campaigns that actually interact with the consumers across the digital landscape. With technologies like artificial intelligence fueling digitization, brands can listen and reply to customers instantly, giving the whole experience a personal touch. Digital enablers like weather APIs, geolocation trackers, and VR help take these experiences to the next level. The latest among these innovations are personal AI assistants or chatbots. Recently, Facebook launched Facebook Messenger chatbots that turn grocery stores into an interactive recipe concierge allowing users to order meals, entrees, party must-haves, food recipes, food guides, discount deals and much more by interacting with their chatbot. While 96 percent of FMCG companies realize the potential of this galvanizing shift into the digital world, most of them intend to implement suitable changes in a year’s time. The first adopters of these innovations will surely gain better grounding than their conservative competitors, in reimaging digital for the industry’s future.